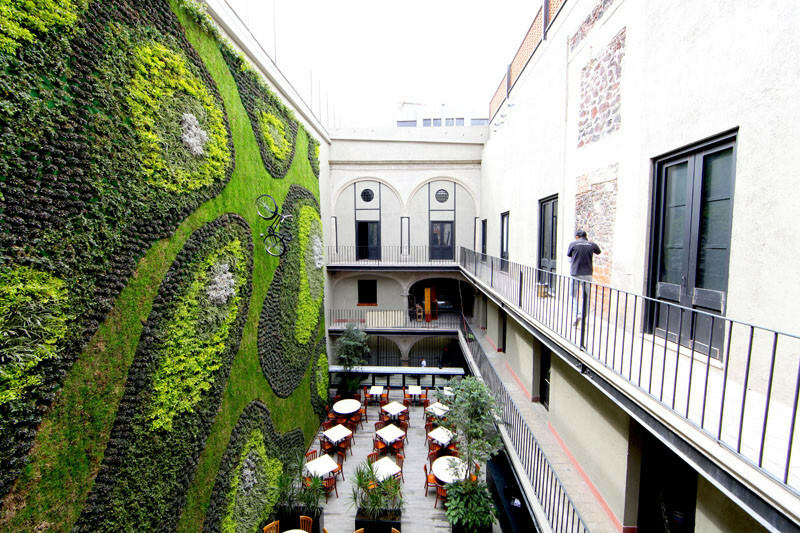 Hidden within the walls of an old Colonial building in Mexico City, is this large vertical garden, designed by Verde Vertical. 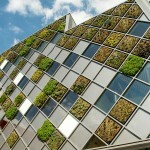 This vertical garden is pretty big, measuring in at a total of 180 square meters (1937 square feet). 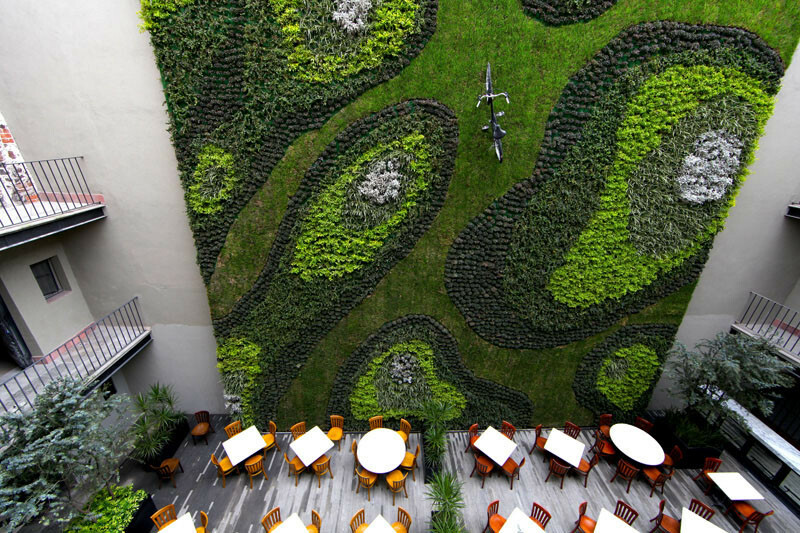 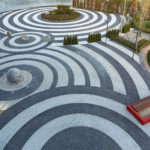 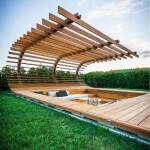 The building, which is now a restaurant and hotel, wanted to create a space that would improve the environment and add an organic touch to the area. 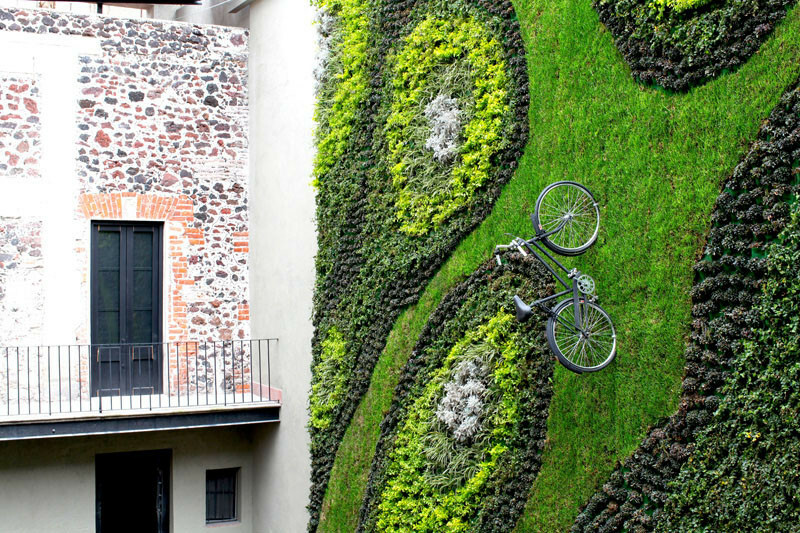 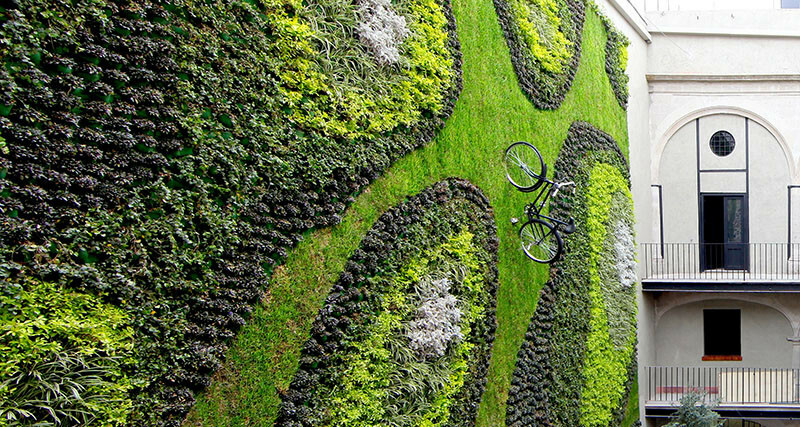 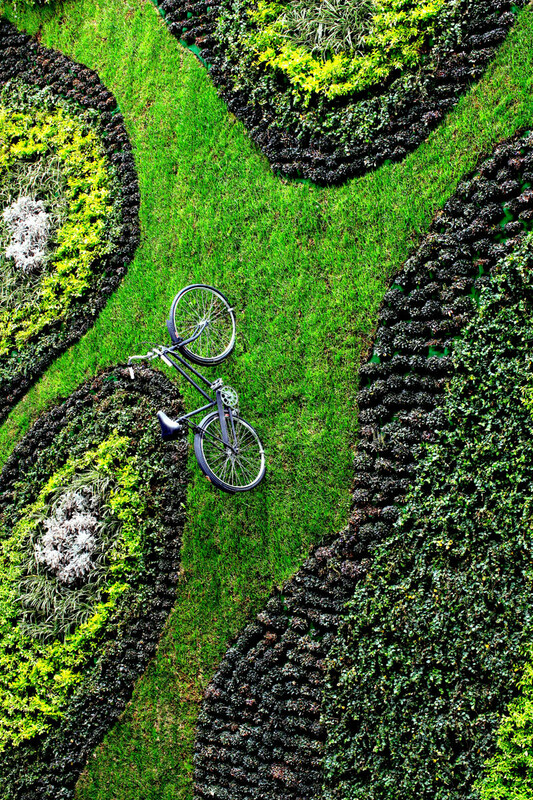 And if you didn’t notice this special touch in the photos above, there is even a bicycle standing on the green wall.